The fact that Team GB is busy preparing for May’s World Championships in Slovakia is testament to the national team’s hard work, and their willingness to face their upcoming challenges. It is also further proof of how far the sport of ice hockey has come here in the UK. After all, ice hockey has faced its fair share of challenges on British soil. However, it is currently experiencing somewhat of a renaissance. This recent surge of interest in the sport is evident in the live attendances at Elite Ice Hockey League (EIHL) games, where fans are regularly filling stadiums out. Now of course, it would be wrong to attribute this renaissance to one factor alone. But much of the credit should be given to Tony Smith, the Sheffield-born businessman who owns the EIHL’s Sheffield Steelers. Smith’s Steelers are the best show on ice this side of the world, and that’s largely due to the visionary Smith. Smith’s vision is to make the game “a live-action entertainment extravaganza for the social media age.” The Steelers have done exactly that — a massive videotron, in-arena light shows, video streams, player meet-and-greets, and diverse merchandise are some of the Steelers’ in-game offerings — and they are arguably the best at it. But Smith knew better than to keep his successful blueprint to himself, instead he made sure every other EIHL team offered a similar package to their fans, too. Then again, much of Smith’s ideas aren’t actually closely guarded trade secrets. They’re standard practice at every National Hockey League (NHL) arena in North America, and Smith and his Steelers brought those in-game experiences to British soil. Recently, ice hockey got a major boost from FreeSports UK, which agreed in July 2018 to provide free TV coverage for the league. All 11 EIHL teams will get equal coverage, with one game to be broadcast every other week. In lieu of those weeks without live games, FreeSports will air highlight shows. Just as important, well-known commentator Aaron Murphy will lead the coverage, and bring a vast wealth of hockey knowledge to every live game. This development is sure to raise the profile not only of the EIHL, but also of ice hockey in the country. British ice hockey also recently saw Liam Kirk, the first England-born and trained player head to the NHL. The 19-year-old honed his talent in the UK, starting in Sheffield. He made it to the EIHL, before finally catching the attention of talent scouts from the world’s premier hockey league. That in itself is an achievement, and a ringing endorsement for British ice hockey. Then there’s the World Championships — ice hockey’s very own World Cup. Team GB last played at the sport’s showpiece in 1994 and have failed to qualify every year since then. In May this year, though, it will mark Team GB’s return to the Championships, where they will battle the world’s best ice hockey teams, including two-time defending champions Sweden, multiple-time champions Canada, and perennial powerhouse Russia. That means the odds are overwhelmingly stacked against Pete Russell’s team, who are predicted by bwin to finish last in the tournament. 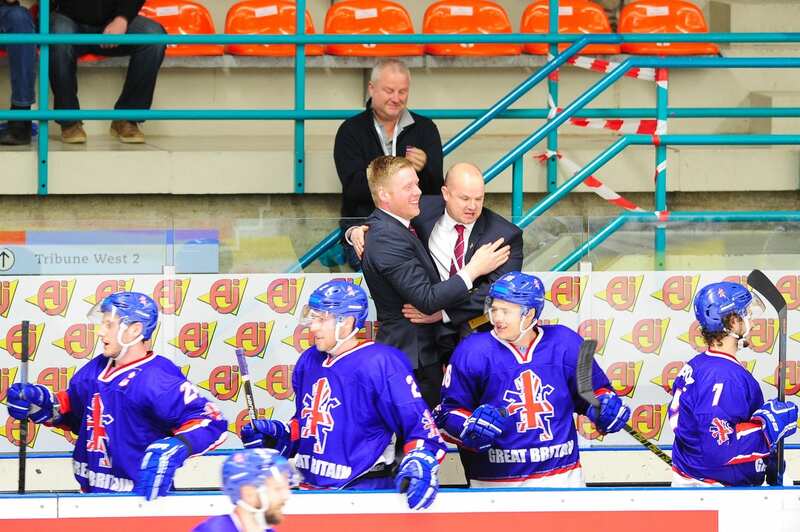 However, Team GB believes it can do well in Slovakia, and show that they compete on the biggest stage. Hoping for the best for GB in Slovakia but the interest in hockey may be good at club level but remains poor for the national side. I recently attended the GB v Latvian club side match which was 90% Latvian supporters that tells us a lot. We were in the third tier at one stage since 1994 so we can’t be at fault for ‘failing to qualify every year since then’ but we made the jump and let’s hope we can play well against France and maybe Denmark to stay in the group 16.